Michigan Department of Health and Human Services (MDHHS)'s mission is to protect, preserve, and promote the health and safety of the people of Michigan. Each year millions of Michigan residents receive services from MDHHS. Kalamazoo Community Mental Health & Substance Abuse Services (KCMHSAS) has been delivering quality services and programs to improve the lives of those we serve for over 30 years. We provide a welcoming and diverse community partnership which collaborates and shares effective resources that support individuals and families to be successful through all phases of life. 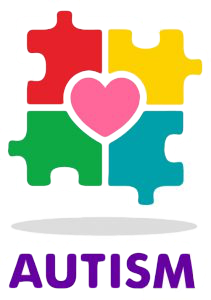 KCMHSAS works with youth, families, and adults with mental illnesses, intellectual and developmental disabilities, and substance abuse disorders to help them succeed. We build on the strengths, hopes, and dreams of those who come in contact with KCMHSAS. 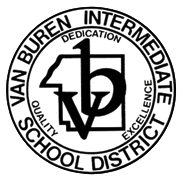 The Van Buren Intermediate School District (VBISD) exists to provide educational and support services to its varied constituencies. It is our goal as a service agency to be both comprehensive and flexible as we seek to deliver services based on the ever changing needs of those we serve. Through these efforts, it is our pledge to work diligently to improve the quality of life of all area residents. The Summit Pointe BTC practicum focuses on the use of evidence-based practices, grounded in Applied Behavior Analysis (ABA), to assess and develop effective interventions for adults with developmental disabilities, individuals with mental health diagnoses, and multi-system needs (e.g., legal system). Clients receiving BTC support in general are based on level of intensity of presenting behavior(s). This practicum focuses on supports for clients necessitating the most intense level of assessment, intervention, transition planning, and monitoring. Students partaking in the practicum will receive opportunities to develop and refine case management activities from a behavior analysis perspective. Activities will focus on comprehensive assessment, design/implementation of behavioral interventions, staff training, and progress monitoring. Residential Opportunities Inc. (ROI) is one of Greater Kalamazoo's nonprofit mental health organizations and a leading provider of residential and support services in Southwestern Michigan for individuals with developmental and other disabilities. Our unique person- and family-centered philosophy creates not only support but also a home and a strong connection to the community for the individuals we serve. Our greatest joy is helping people realize their hopes, dreams, goals and desires. As a member of the community since 1978, ROI has gained a stellar reputation for providing the highest level of care in group homes, supported living, respite, home health aid, training and payee services. We support children and adults with disabilities along with their families, so they may enjoy community and home, as well as pursue health and independence. A world that embraces and supports people of all abilities to live as full members of their communities. 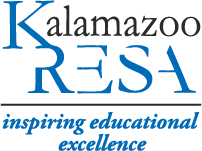 The Kalamazoo Regional Educational Service Agency (KRESA) exists to transform lives by inspiring educational excellence. We provide cradle-to-career services and support through highly talented professionals, successful partnerships and innovative practices.